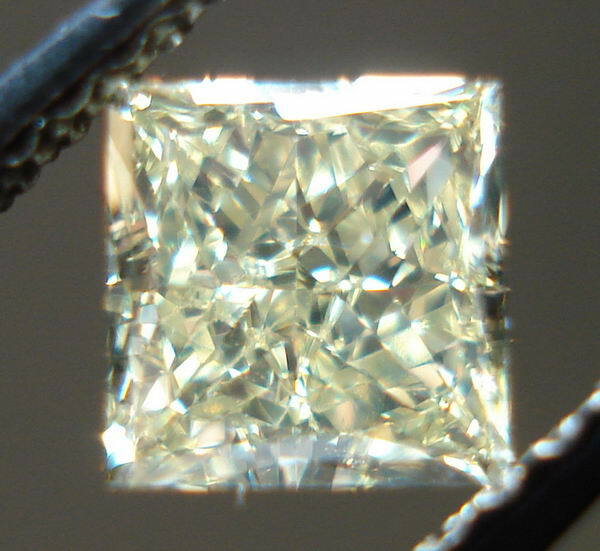 Here is a lovely Princess Cut diamond. 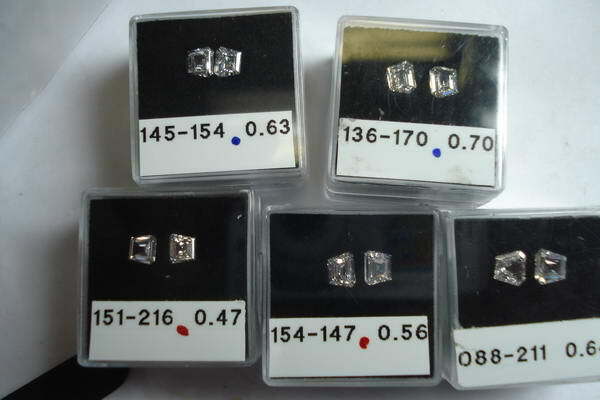 It does not have a GIA grading report, however we have graded it conservatively in-house. 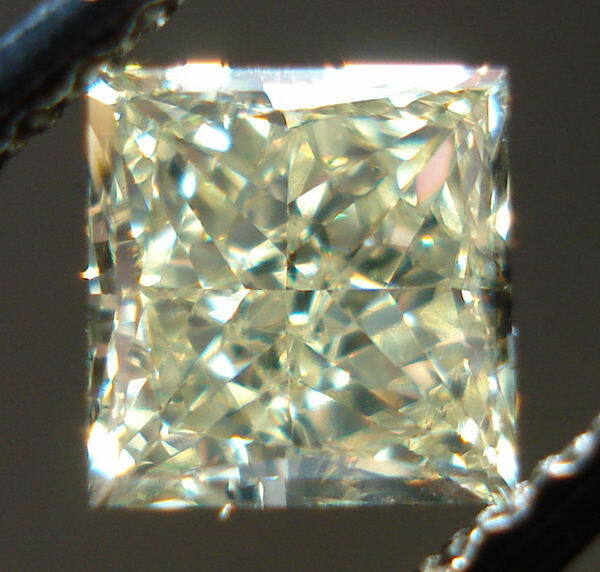 The cut on this stone is lovely. It has that nice "crushed ice" look to it. 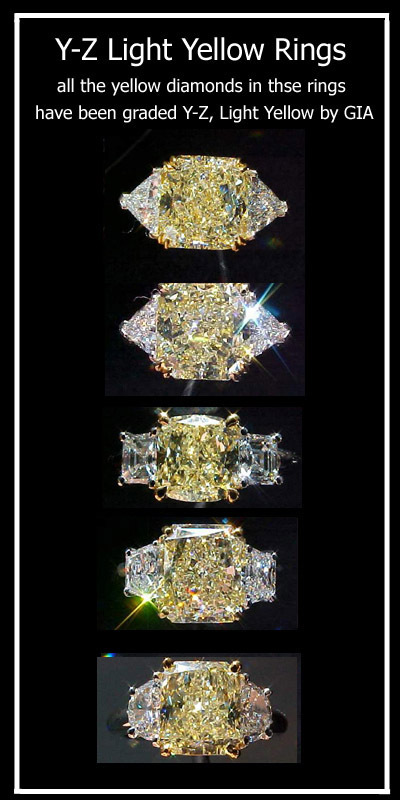 A very bright stone full of sparkle. 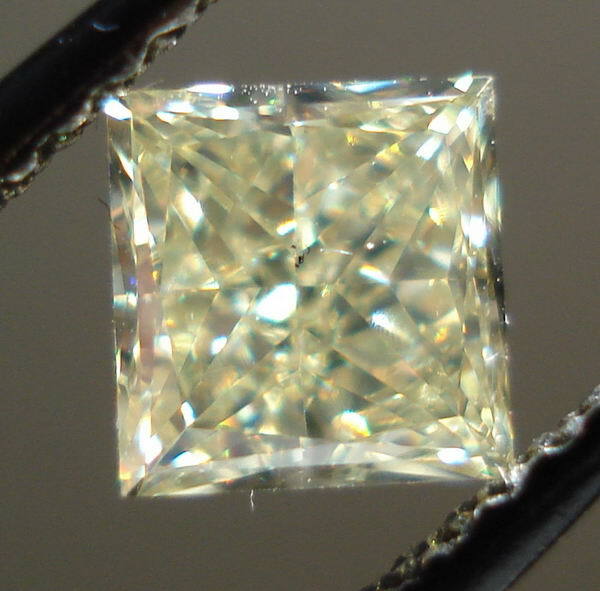 The clarity on this stone is SI1. In some of the photos, like the one below, it is relatively easy to spot the inclusion. However, the imperfection is not possible to see with the naked eye. Even in a few of the photos you will see how it is incredibly difficult to find the inclusion. 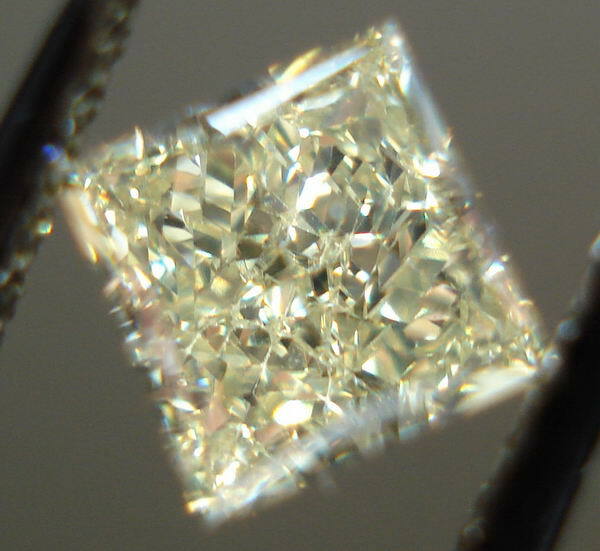 I fully admit I love this color of diamond. 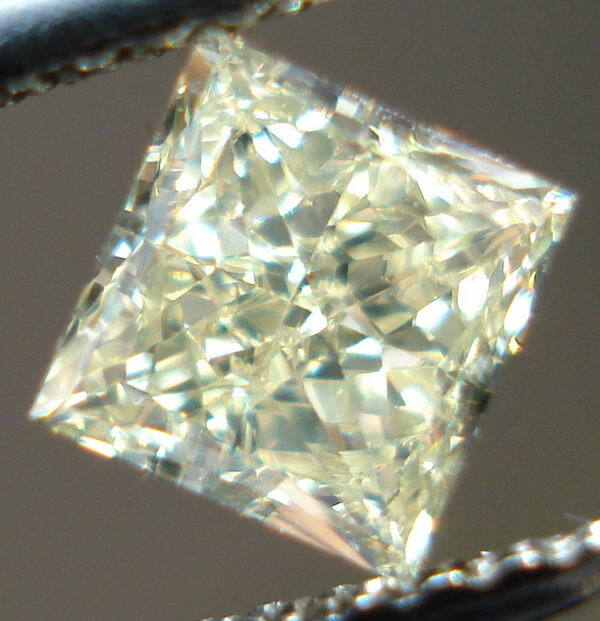 It is very decidedly yellow but has a beautiful softer tone to it much like a good strong lemonade. This stone will look even darker once set or even in normal room lighting. 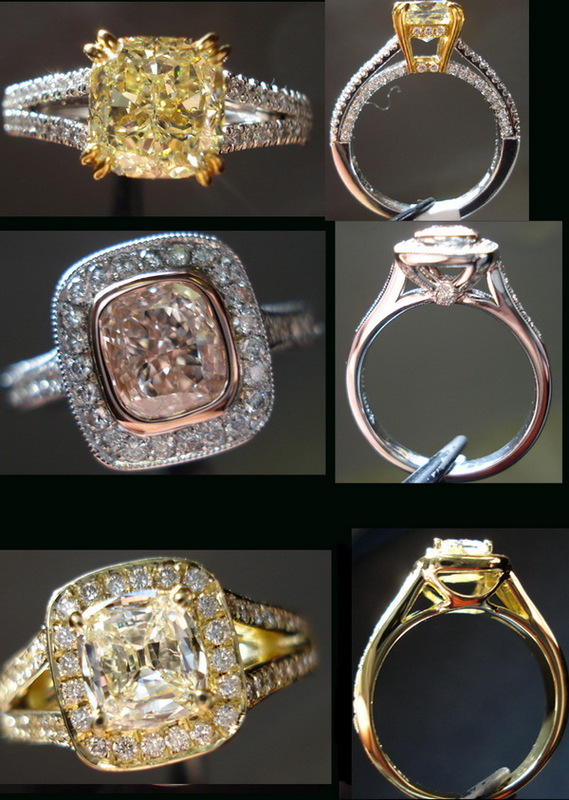 The lighting used to get the close ups are UV rich making the stone appear lighter in many of the photos. Light Yellows like this one look even more yellow once we set them. 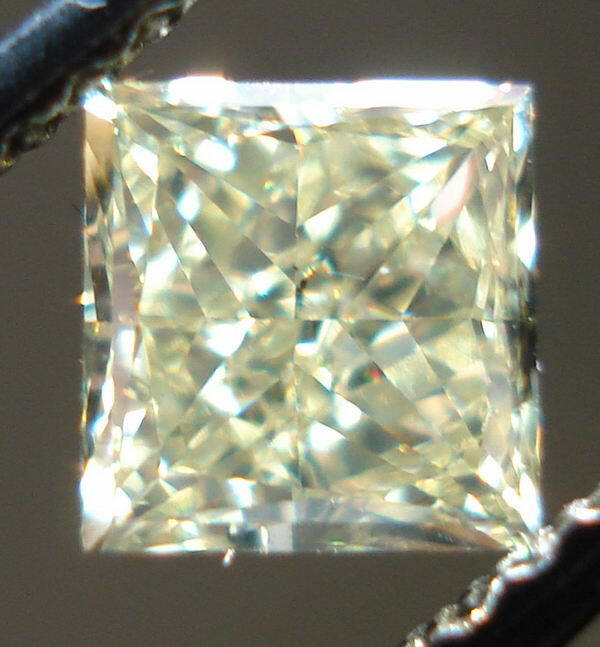 Setting the diamond properly will give the yellow a "kick" and bring out the color even more.